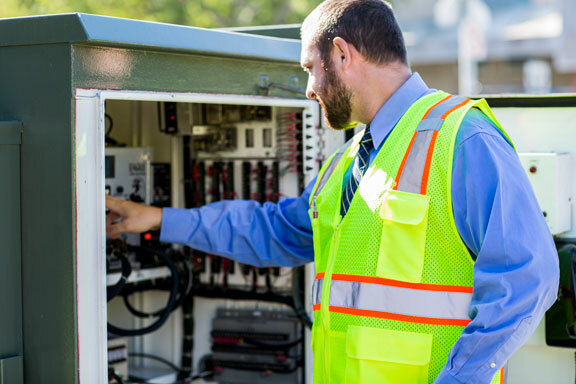 UCI Transportation and Distribution Services manages and maintains nine campus-owned intersections and is responsible for the safe and efficient passage of all roadway users. UCI Transportation also coordinates transportation efforts with our neighbors in the City of Irvine, City of Newport Beach and Caltrans at the 73 freeway. 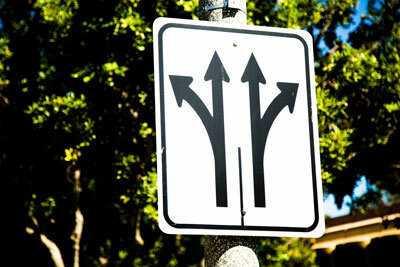 UC Irvine campus roadways have nearly 1,000 posted regulatory, warning and guide signs to facilitate the most efficient and safe flow of traffic. Sign types and materials are continuously tested to ensure that their field performance will exceed expectations for years to come. 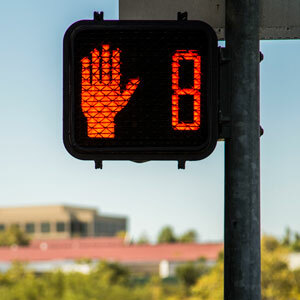 According to the Institute of Transportation Engineers, the more signs installed along the roadway, the less attention they command from the public. It is important to balance the needs and requirements for all signs on campus, ensuring that each sign has a critical duty. 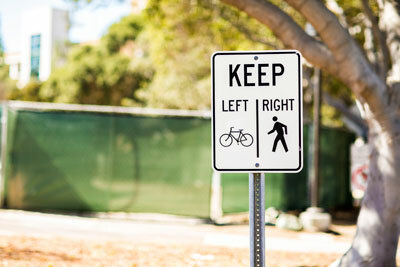 This helps reduce sign clutter and increase public safety. 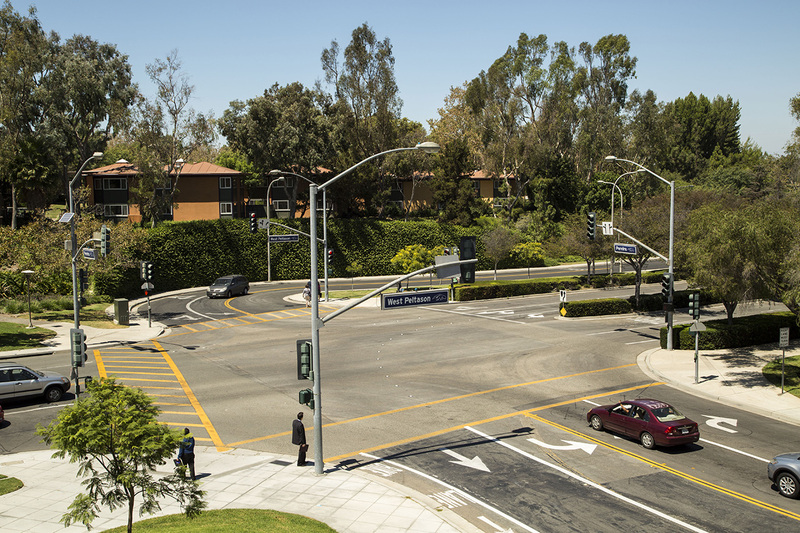 To ensure the most optimum flow of traffic, bicycles and pedestrians on campus roadways, UCI Transportation conducts quarterly studies to determine travel patterns. The information is used to efficiently time traffic signals, and additionally, to set speed limits, calculate GHG emissions, and place traffic signs along the roadways. Efficient programming of traffic signals enables vehicles, bicycles, and pedestrians to travel safely and efficiently on the UCI campus. In its signal timing, UCI Transportation accommodates for different traffic demands at different times of the day. The results are field verified to ensure optimum performance. 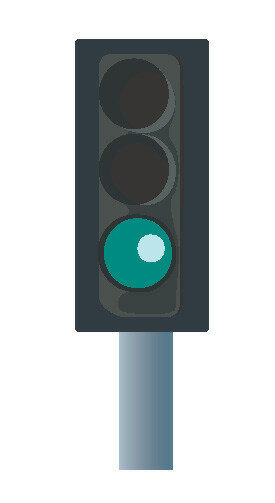 The green indication is intended to allow users to travel through the intersection safely and efficiently. The duration of green indication is determined based on traffic demand and time of day. Vehicles entering the intersection on a green indication should always use caution and do so safely, obeying all road signs and lane markings. 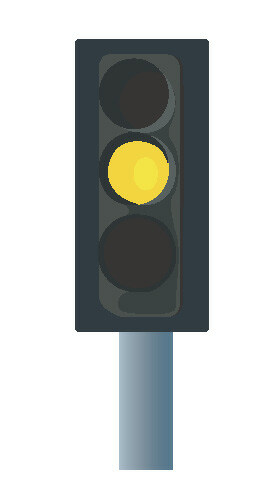 The yellow change indication alerts the driver to be cautious and that the red light will appear next. 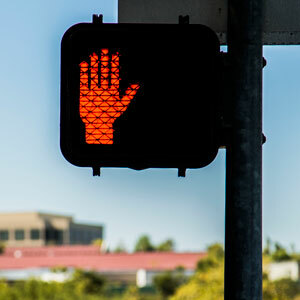 When you see a yellow change indication, you should stop if you can do so safely. If you cannot stop safely, proceed into the intersection cautiously. The length of the yellow light indication is defined by state law and generally is based on the speed limit of the road (VC 21400). 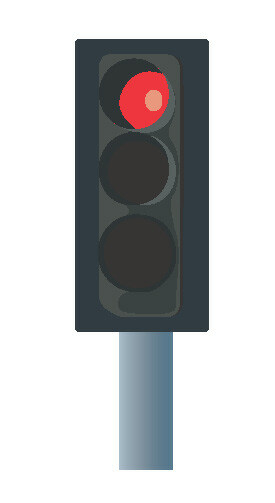 There is a brief time where all sides of the intersection see a red indication. This clearance interval is intended to allow any vehicles that may be in the intersection to clear safely before the next green indication is shown. The clearance time is based on the speed limit and the width of the intersection. For the convenience of bicyclists traveling campus roadways, bicycle loop sensors have been installed at every campus signal intersection. The sensors are specially designed and tuned to detect a bicycle on the roadway. 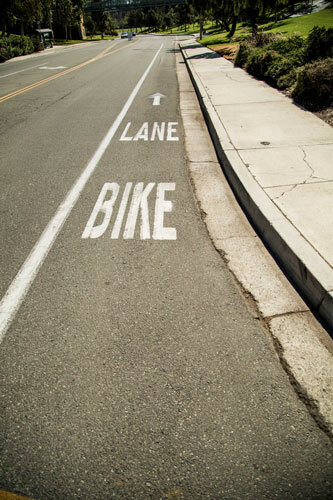 To activate, place your bicycle directly on top of the sensor in the center of the lane near the solid white limit line of the intersection. Occasionally, some modern bicycles made from advanced composites or carbon fiber may not activate the sensor. The bicycle push button located at the intersection can be used to request a green light. 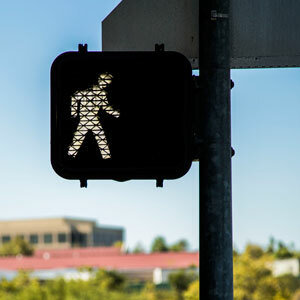 To ensure the safe travel of both vehicles and pedestrians, it is important for pedestrians to cross the intersection in the marked crosswalks and pay close attention to the pedestrian signals. Before entering the crosswalk, always check that the intersection is clear and safe, then you may begin crossing the intersection. No pedestrians may enter the intersection. Pedestrians should not begin crossing. Those who have already started during the white walk symbol may complete their crossing. The countdown timer shows the number of seconds remaining before the light turns yellow.